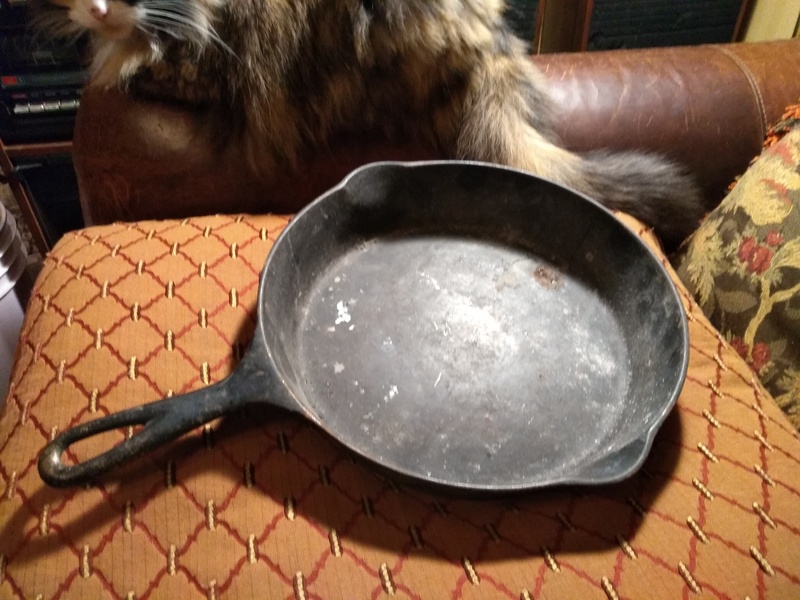 Cast iron skillet. 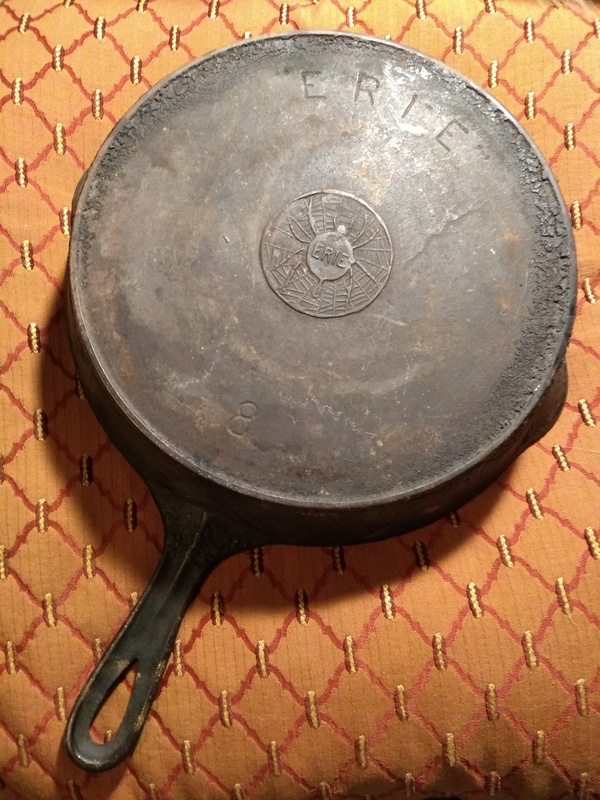 On the bottom of the pan it is marked "erie" in slanted lettering across the top. At the bottom edge in the 6o'clock position it has the numeral 8. In the center there is a spider on a web in a raised marking. 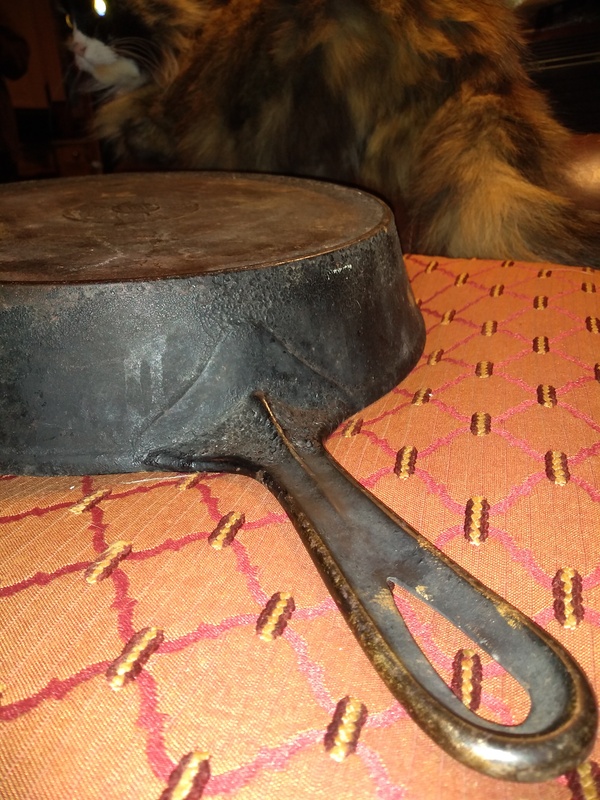 The pan is not yet restored so there is some rust and l riing of buildup around the edge base. There is some light rust. The markings are very detailed and don't seem to be worn much, the spider especially is still finely detailed. 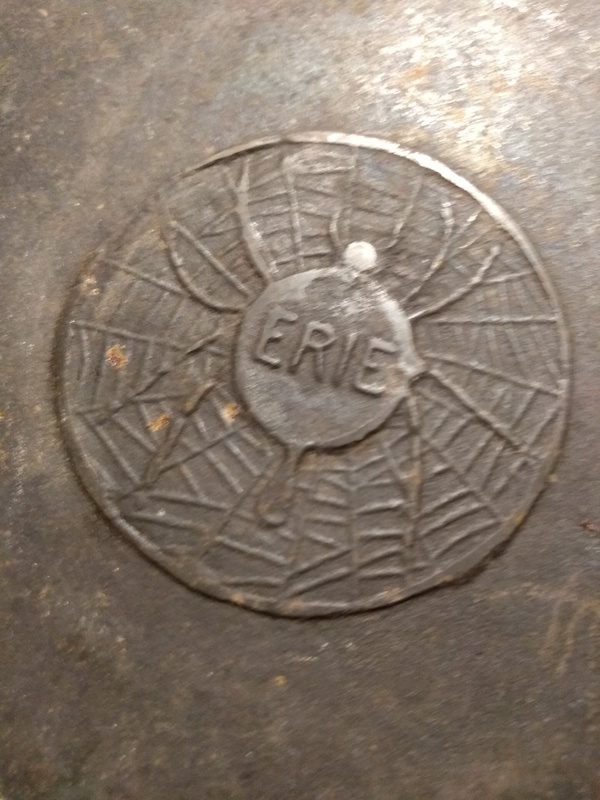 Raised spider on web, numeral 8, "erie"
Went to buy an item i agreed to purchase from Letgo. Drove to Tekonsha, Michigan to the sellers house. He had items on a pallet he was selling and was trying to just get a few bucks around. Kept offering me the cookware, so i finally caved and bought a couple pieces.